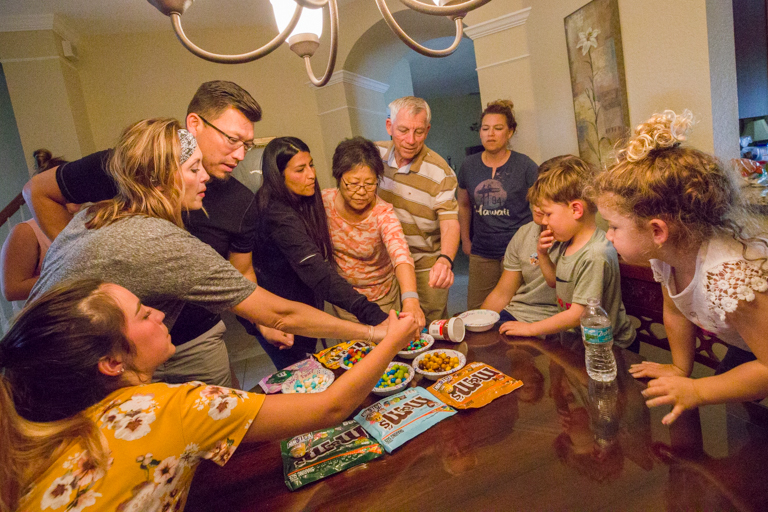 Taste tests are always better with groups, so I was happy to bring these out on our recent Spring Break trip to Florida with the rest of the family. 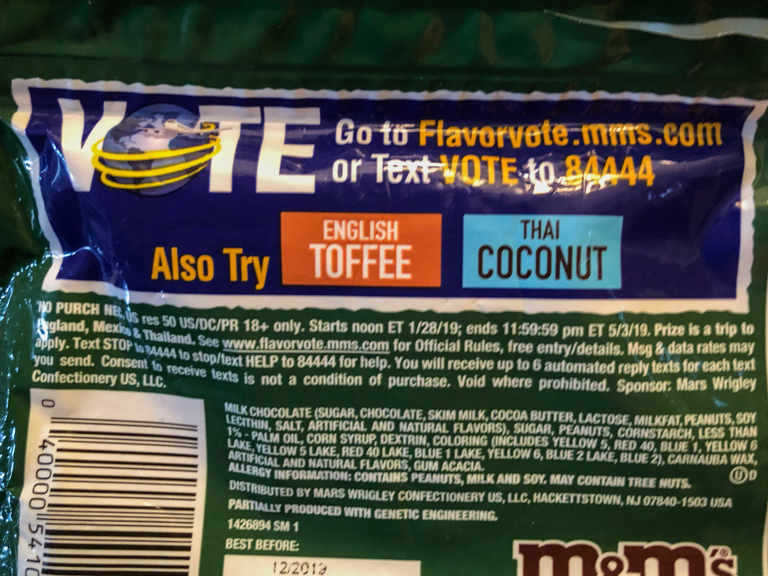 And not that I'm going into it biased, but when I heard English Toffee and M&Ms, my mind was pretty much made up which one was going to be my favorite. 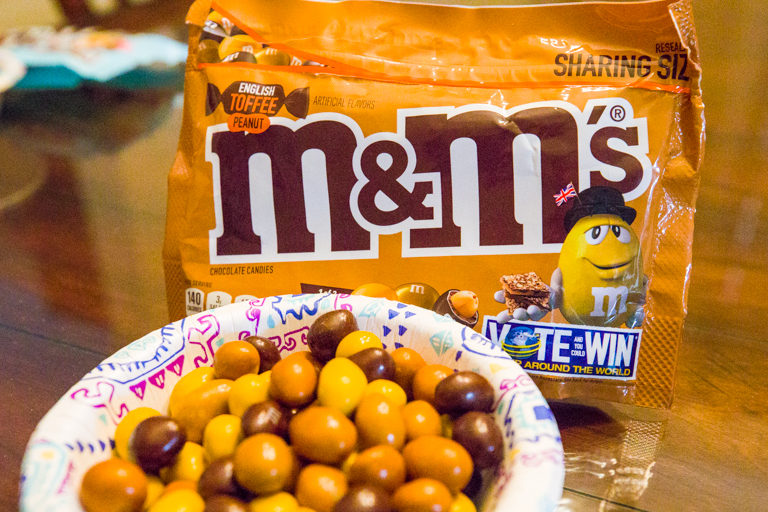 Toffee is a guilty pleasure of mine and the M&Ms didn't disappoint. I was a little surprised though. These had a very strong maple flavor, which while still good doesn't make me think Toffee. Some in the group likened them to Maple Nut Goodies. Next up is the Thai Coconut. I think Donald said it best, these remind me of vacation. Actually that was paraphrasing. What I think he said was "These remind me of if you sprayed sunblock in your mouth." Yeah... That doesn't sound as good. They certainly have a taste of coconut, but to us, it tasted too artificial. 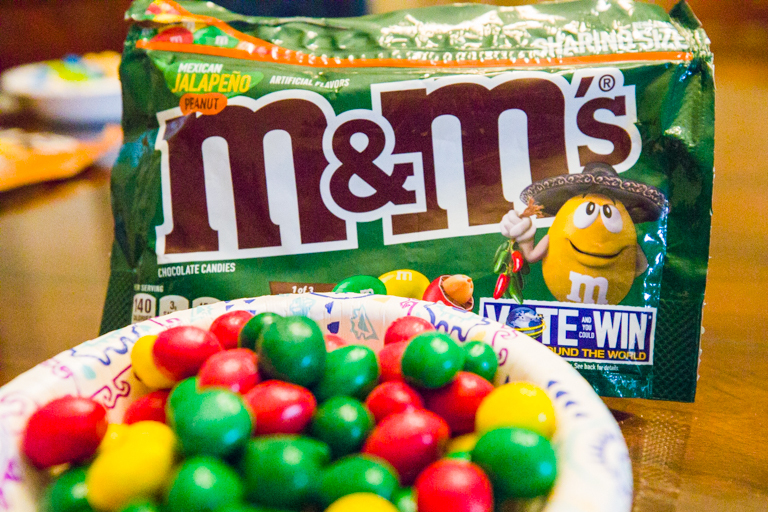 Last up is the Mexican Jalapeño M&Ms. Nice job on the colors. Reviews for this one were split. Some people liked the extra heat with the chocolate. Others feel there's no reason for it. 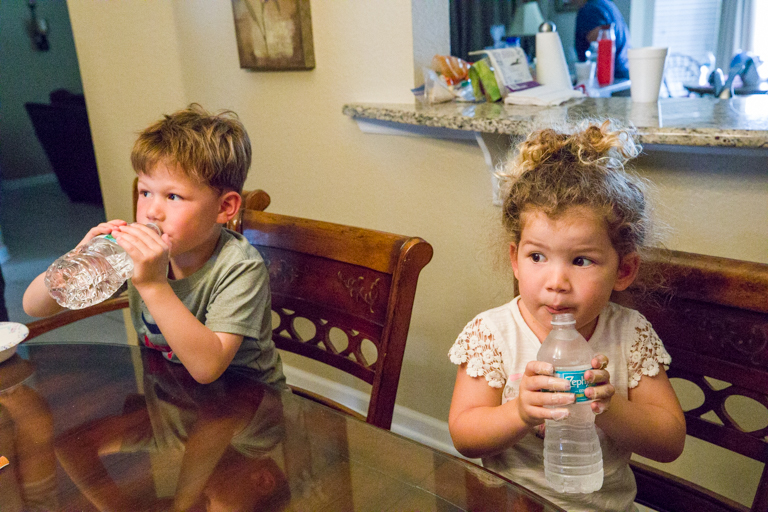 After a little bit of coaxing, both kids tasted it. This was their next reaction. 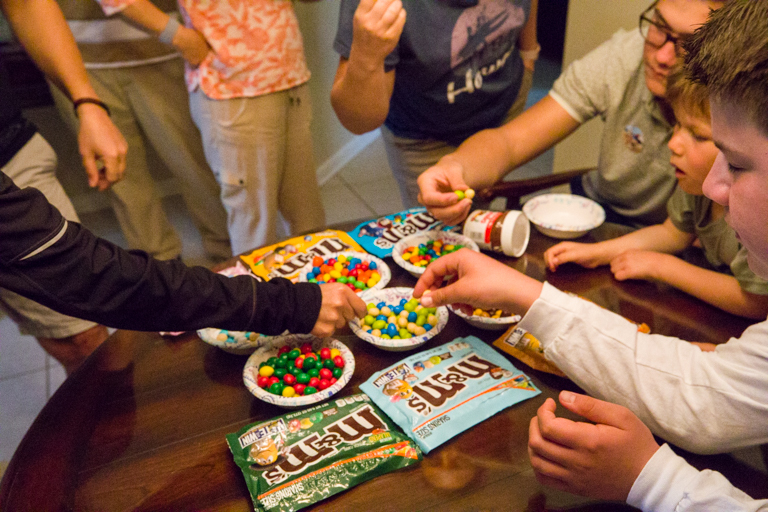 So we've tried flavors from England, Thailand, and Mexico. 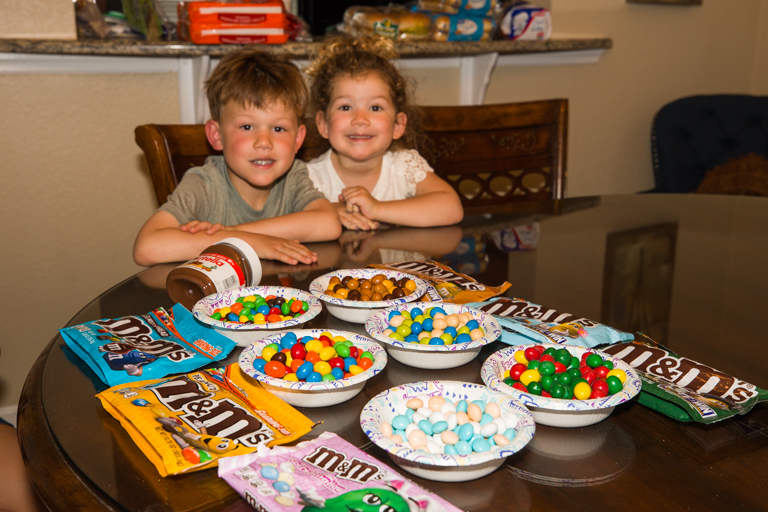 If we then go to flavorvote.mms.com and pick our favorite, we're entered into a drawing where the grand prize is a trip to all three of those countries! For me, it was English Toffee. And certainly not forgetting the other flavors we have. 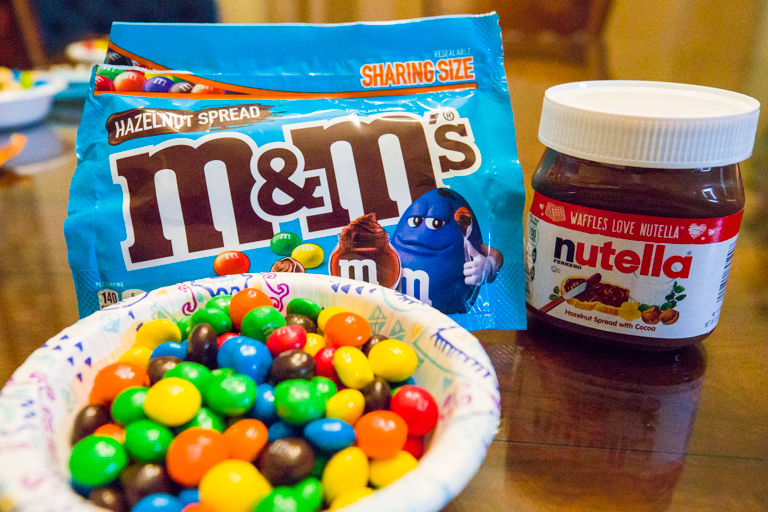 It was just released a few days ago, but from what I've read, Hazelnut Spread is already going to be a permanent addition to the M&M family. 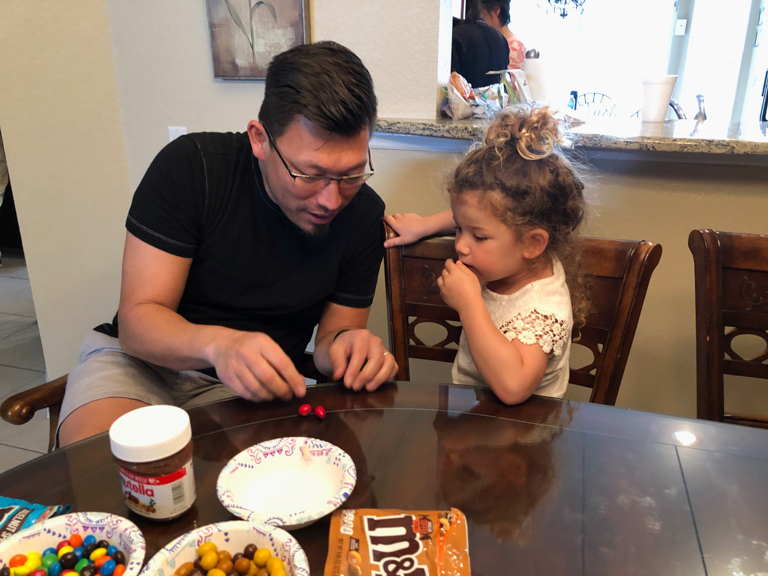 Nutella is just a little too delicious to have around the house, so I find myself only having it when I'm on vacation. 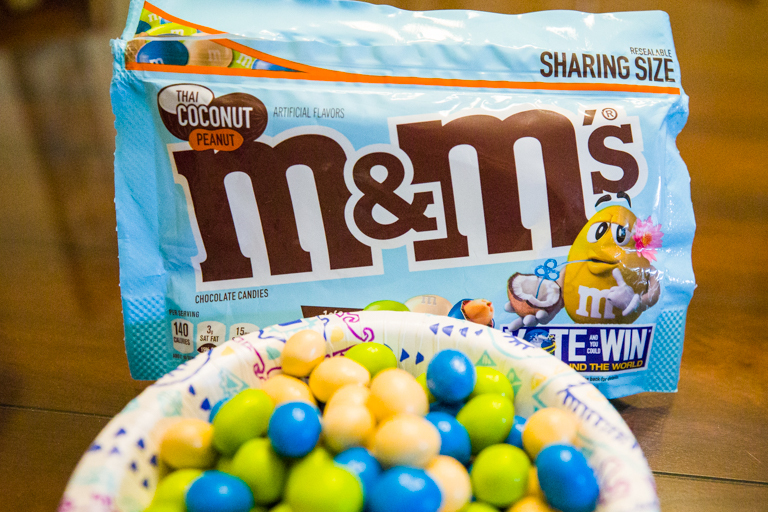 Maybe that makes these M&Ms taste extra good because I associate the flavor with that. The insides taste very much like Nutella, so these get an A in my book. 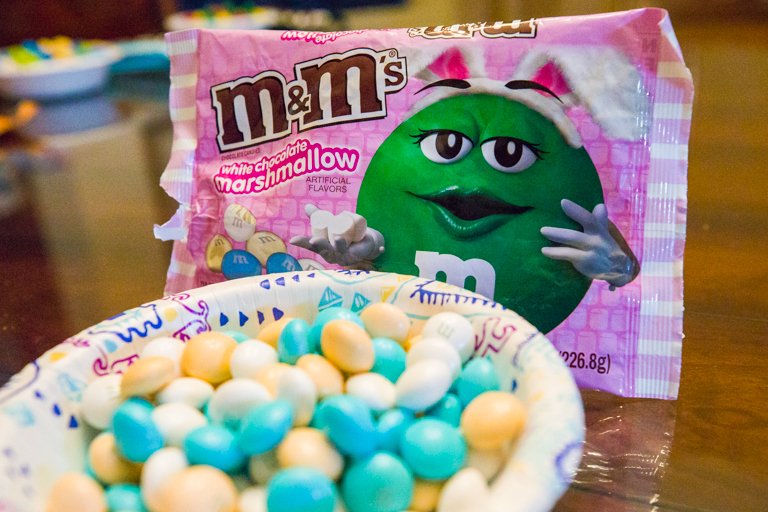 Last up were the White Chocolate Marshmallow M&Ms. And that's just as well. These weren't very exciting. White chocolate isn't my favorite anyway, and the artificial marshmallow flavor isn't helping. 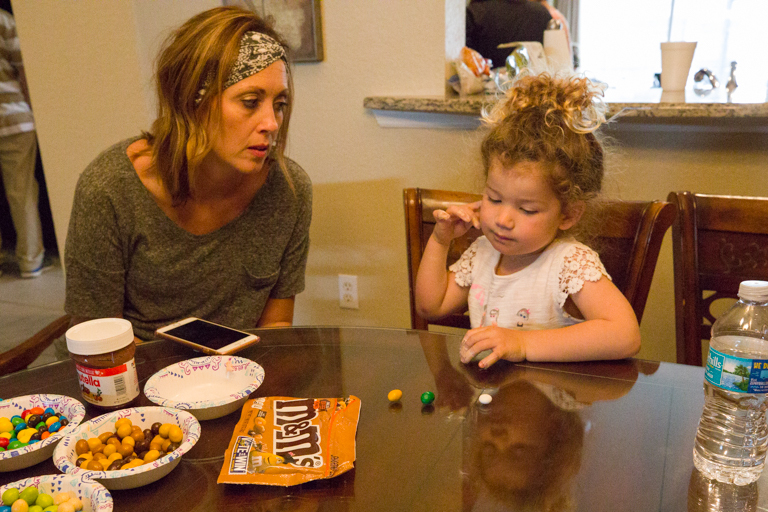 With everyone's votes in, the favorites were Hazelnut and English Toffee, with a couple votes for Mexican Jalapeño. 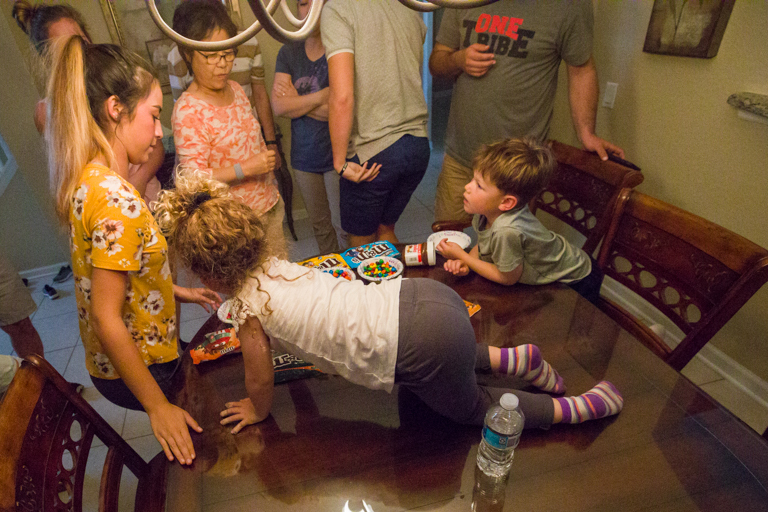 When no one will pass you an M&M, sometimes you just have to crawl on the table and get them yourself. 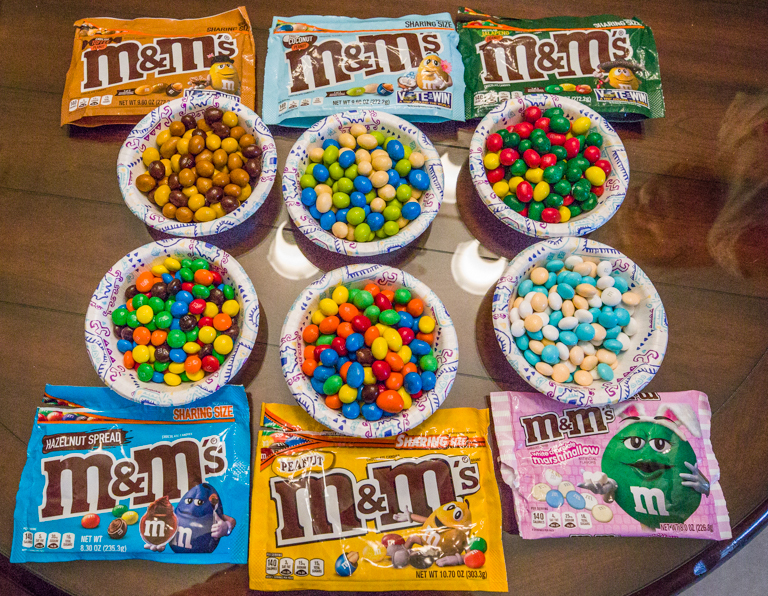 Afterwards we enjoyed a roulette game where someone would grab a few random flavors and you'd each pick one to try. Alli is trying to avoid the jalapeño one. Then Donald grabbed a red jalapeño M&M and a regular red peanut M&M. Alli refused to pick. 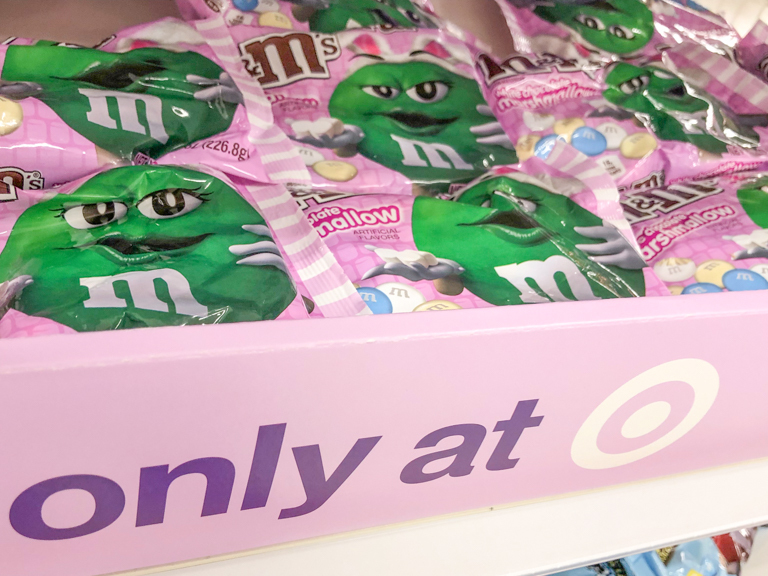 So, have you tried any of the new M&M flavors? What did you think? And a special thanks to Patrick for helping me find some of these flavors that weren't available at my local store.